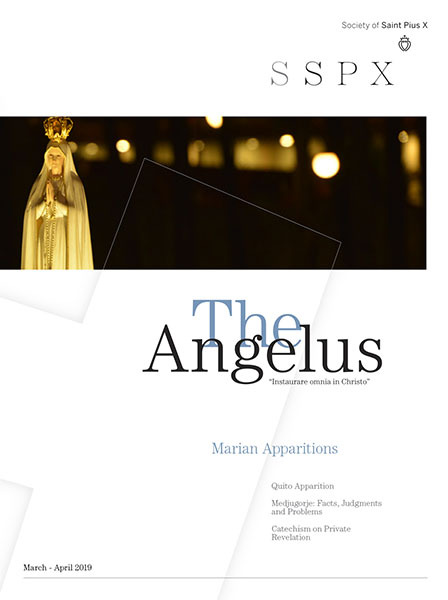 Thank you so much for The Angelus magazine that you put out each month. I feel blessed to receive it. Thank you for all that you do at Angelus Press, for "flying the flag" of Catholic Tradition.